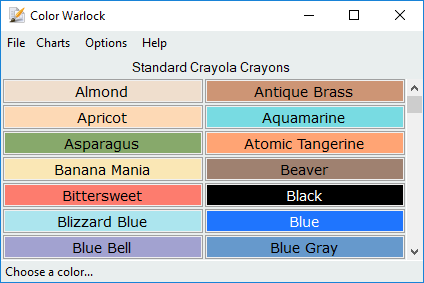 Allows you to create and/or use color charts in a Color Warlock format that can be loaded to copy the color value in css, hex, hsl, hsv, and/or rgb to use in your projects. 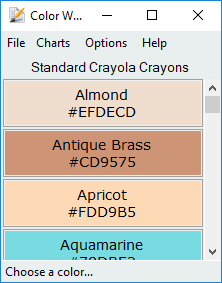 Create your own color charts with the built-in Chart Builder. 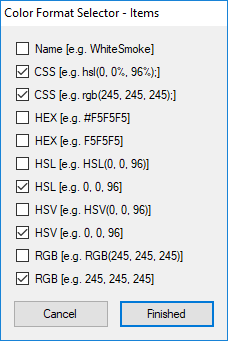 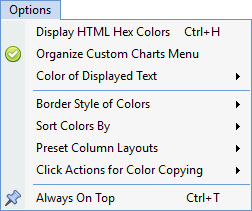 Copy color values in css, hex, hsl, hsv, and/or rgb to use in other programs. 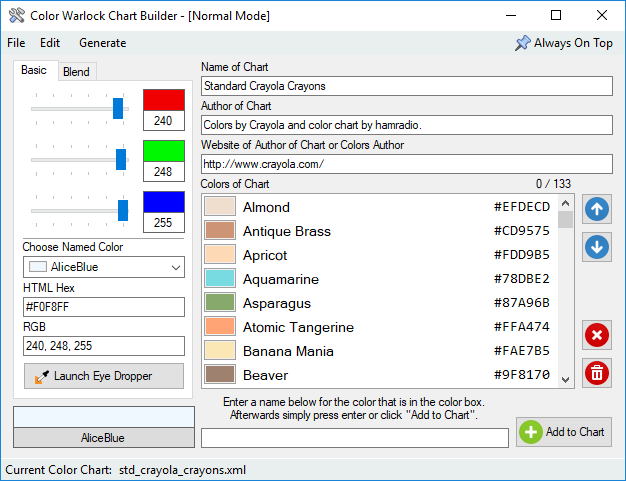 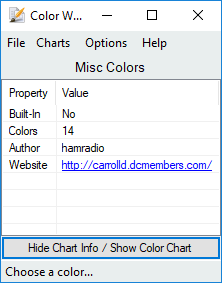 Ability to share your color charts that you make. 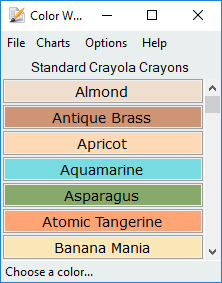 Even more not listed in this brief list.